Solving crimes in “CSI: Holy Land” and fill­ing in the blanks to “Eye of the Tebow” paid off for Drake (’94) and Christina (Adelseck, ’95) Levasheff last fall when they won $140,000 and the title of tournament cham­pions on the first season of The American Bible Challenge. The Levasheffs, along with their friend Dean Bobar, used their knowledge of the Bible to beat out 17 other teams and win the top prize on the Game Show Network’s trivia show in October. As “Team Jud­son’s Legacy,” the trio was competing to raise money for charity in memory of the Levasheffs’ son, who passed away in 2007. Initially, 18 teams, all competing for different charities, battled head-to-head in creatively titled rounds that tested their knowledge of the Bible. In the “Faithbook” round, host Jeff Foxworthy asked contes­tants to identify what social media update belonged to a certain Bible character. In the “Eye of the Tebow” round, contestants were asked to fill in the blanks to Bible verses that NFL quarterback Tim Tebow wrote under his eyes during his college years, and it was during one of those rounds that Christina Levasheff was reminded of the reason why she was competing on the show. Team Judson’s Legacy competed on the game show for the sole purpose of carrying on the memory of the Levasheff’s son, Judson, who passed away just before his third birthday due to the incurable Krabbe disease. The team hoped to win the prize money for the Hunter James Kelly Research Institute. 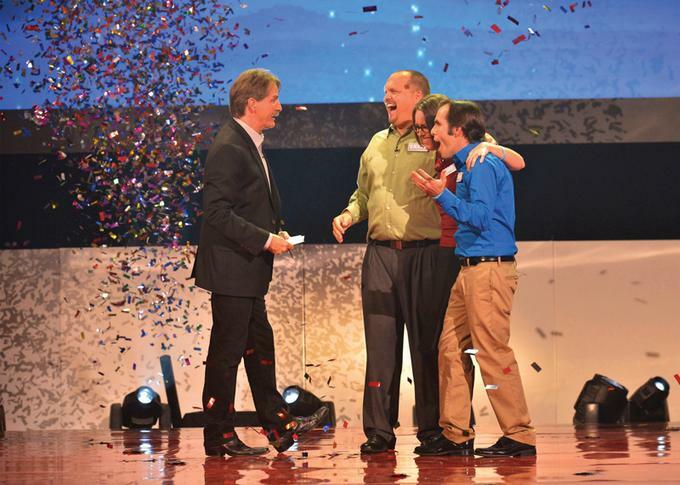 Watch the Levasheffs' winning moment on the grand finale of Season 1 of The American Bible Challenge. Read a column Christina wrote for Biola Magazine in 2009 about the death of her son.